The virus spread. Billions died. The Ending began. We may have survived the apocalypse, but the virus changed us. When people started getting sick, "they" thought it was just the flu. My roommate, my boyfriend, my family...they're all gone now. I got sick too. I should have died with them--with the rest of the world--but I didn't. I thought witnessing the human population almost disappear off the face of the earth was the craziest thing I'd ever experience. I was so wrong. My name is Dani O'Connor, I'm twenty-six-years-old, and I survived The Ending. The Virus changed everything. The world I knew is gone, and life is backwards. We've all had to start over. I've been stripped of my home, my dreams...all that is me. I'm someone else now--broken and changed. Other survivors' memories and emotions haunt me. They invade my mind until I can no longer separate them from my own. I won't let them consume me. I can't. 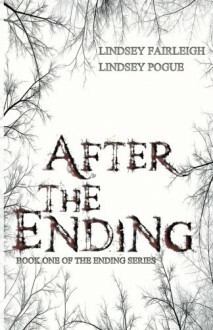 My name is Zoe Cartwright, I'm twenty-six-years-old, and I survived The Ending. We've been inseparable for most of our lives, and now our friendship is all we have left. The aftermath of the Virus has stranded us on opposite sides of the United States. Trusting strangers, making sacrifices, killing--we'll do anything to reach one another. Fear and pain may be unavoidable, but we're strong...we're survivors. But to continue surviving in this unfamiliar world plagued by Crazies and strange new abilities, we have to adapt. We have to evolve. And more than anything, we have to find each other.